The real future of biotechnology has more to do with science. The inquisitive nature and curiosity of man coupled with intellect and an urge to discover brings about such break-through advancements in the world of science. "The science of the future"
It is the industry with the greatest potential for innovation, which simultaneously enjoys extensive support from the political sphere and public sector. In recent years considerable ground has been gained in many areas – not only in the field of medicine but also agriculture, environmental technology and waste management. Humans have already genetically modified animals and crops, for better world and to reduce world&apos;s malnutrition and hunger. It all started with genetic modification of food in the 1980&apos;s when it was discovered that specific genes could be transferred between organisms. The first transgenic plant was created in 1983 in the form of a tobacco plant resilient to antibiotics. Several types of crops and, more recently, animals have been genetically modified ever since. Science has largely progressed over time. But more recently, limits are being tested as scientists question whether or not the genes that cause certain disorders and diseases can be "switched off" in a human embryo. And it can be done, but it raises many ethical dilemmas. For the sake of disease prevention, this novel procedure is completely astounding. It has the ability to improve health and increase the human lifespan. 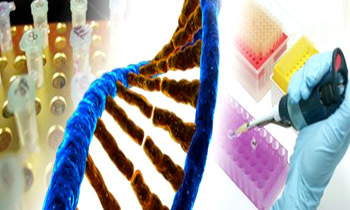 Biotechnology is a process that uses the scientific research on DNA for practical benefits. The benefits include in the areas like - Healthcare, agriculture and industry to meet life’s greatest needs in a carefully regulated way. The increasing power and accessibility of biotechnology may one day give parents the option of modifying their unborn children, in order to spare offspring from disease or, conceivably, make them tall, well muscled, intelligent or otherwise blessed with desirable traits. As Biotechnology allowed us to turn the tide on human diseases till now, it is also granting the power to engineer desirable traits into humans for designer babies. Biotechnology is the science of working with living cells and their molecules to produce varied products for the benefit of mankind. Biotechnology has been known to be in use for over 10000 years; however, recent developments have made the field exciting. In earlier times, biotechnology was used to bake bread, brew alcoholic beverages, and breed food crops or domestic animals. An important breakthrough was the discovery that DNA stores genetic information, which led to rapid development of Biotechnology. 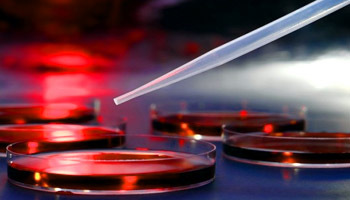 Red Biotechnology Red Biotechnology is concerned with the discovery and development of innovative drugs and treatments. The pioneers of DNA research were James D. Watson, Francis Crick and Maurice Wilkins, who jointly received the Nobel Prize in December 1962 for their discovery of the double–helix structure of DNA and its significance for information transfer in living material. 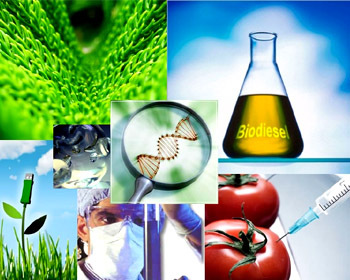 Biotechnology can be broadly classified into three sub–groups: Red Biotechnology, White Biotechnology and Green Biotechnology. Red Biotechnology: When biotechnology is applied to medical processes, it is known as Red Biotechnology. Genomic manipulation to cure diseases is an example. White Biotechnology: When biotechnology is applied to industrial processes, it is known as White Biotechnology. Production of useful chemical through the design of organisms is an example. Green Biotechnology: When biotechnology is applied to agricultural processes involving medicinal plants etc, known as Green Biotechnology. 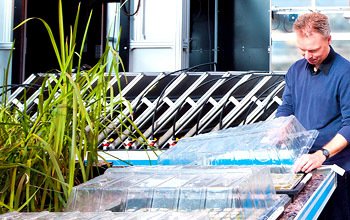 Designing of transgenic plants to grow under specific environmental conditions is an example. Green biotechnology brings revolution of transgenic plants Green biotechnology is used to modify the genetic composition of plants to enhance existing traits or add new ones. 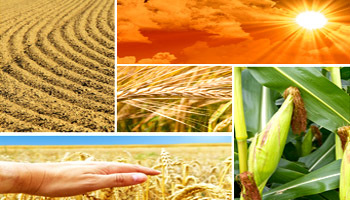 Bio Application: Biotechnology can be applied to many fields such as Molecular Farming, Bionics, Bioremediation, Cloning, Stem Cells, DNA Vaccines, Tissue Engineering, Gene Therapy and Chromatography. Bioinformatics is an interdisciplinary field which endeavors to find solutions to biological problems using refined and much studied computational techniques. The result of this is that large amounts of biological data can be organized very quickly for analysis (which is also aided by computing). Whereas as there are many applications for bioinformatics in research and commercial environments, the field of genetics has benefited greatly from our ability to record, recall and interpret vast quantities of data. 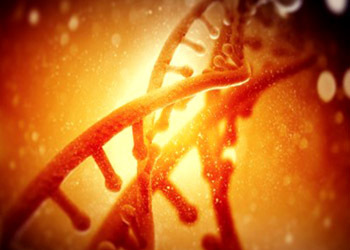 The promise of Gene therapy It is an experimental technique that uses genes to treat or prevent disease. Biotechnology is now used in a variety of applications that dramatically improve health of people suffering from various diseases. Gene therapy is increasingly being used to cure/treat diseases such as cystic fibrosis, AIDS and cancer. Biotechnical methods are also used to produce many proteins for pharmaceutical purposes (including Mass spectroscopy). A strain of Escherichia coli bacteria can be used to create insulin by duplicating the gene for human insulin. Vaccines can be created for specific diseases and administered to patients. Genetic diseases can be diagnosed and treated using the knowledge of interaction between genes and the environment. 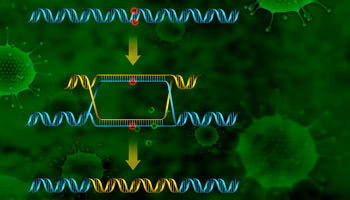 DNA fingerprinting is the process of cross-matching two strands of DNA. In criminal investigations, DNA from samples of hair, bodily fluids or skin at a crime scene are compared with those obtained from the suspects. 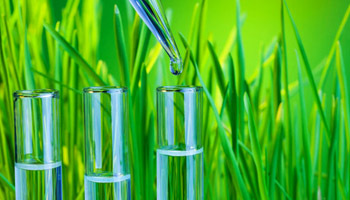 Environmental biotechnology Environmental biotechnology, is all about the balance between the applications that provide and the implications of manipulating genetic material. Detection, removal and treatment of toxins in water, air, food and soil. 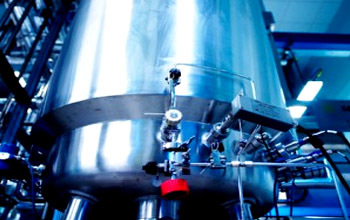 The most established application of industrial biotechnology is in the food and beverage sector. Industrial biotechnology is one of the most promising new approaches to pollution prevention, resource conservation, and cost reduction. Coal bioprocess to improve ways of cleaning coal and converting it for chemical and energy uses. Agricultural biotechnology reduces world's malnutrition and hunger Application of agricultural biotechnology improves food nutrition and healthcare products. Biotechnology has become one of the most incredible advances in human existence. Biotechnology is one of the world's newest and most important applied sciences of the 21st century. Development of genetic markers for molecular breeding and plantation resource evaluation. The applications of biotechnology are so broad, and the advantages are so compelling, that virtually every industry is using this technology. Developments are underway in areas as diverse as pharmaceuticals, diagnostics (Volumetric analysis), textiles, aquaculture, forestry, chemicals, household products, environmental cleanup, food processing, animal biotechnology (involving lot many experimental animals like; rats, frogs etc) genetic testing and counseling and forensics (like blotting techniques) to name a few. Biotechnology is enabling these industries to make new or better products, often with greater speed, efficiency and flexibility . Biotechnology holds significant promise to the future but certain amount of risk is associated with any area. Biotechnology must continue to be carefully regulated so that the maximum benefits are received with the least risk.